Have you ever taken a bite of food so delicious that your heart almost skips a beat? I love those moments and, as a self-professed foodie, I seek that feeling on a regular basis. 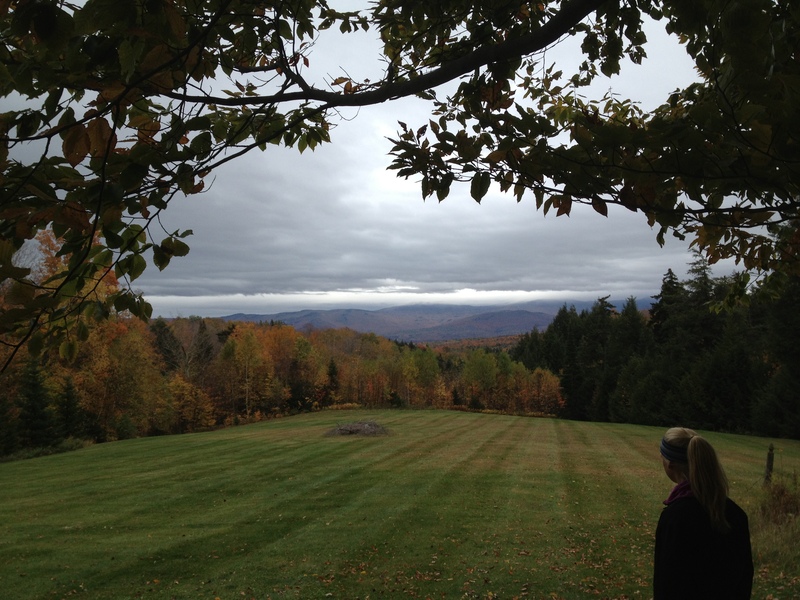 This weekend, while visiting Vermont for a friend’s wedding, I was reminded why I chose to attend school in the Northeast. Upon arriving to Vermont, we had a dozen eggs, good butter, and some fresh baked sourdough bread from a nearby bakery waiting for us. If you’ve never had fresh eggs from truly free-range hens, you have never eaten a proper egg. <– Tweet This! Hens that roam on pasture, peck at grass and scratch for bugs make some damn good eggs. 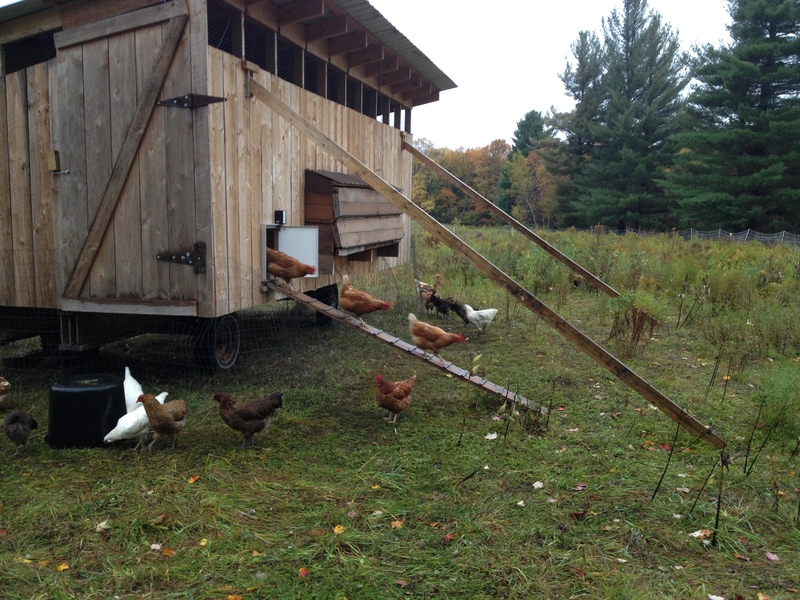 And these hens have a much better quality of life. But that’s not the only reason I like them. Eggs from pasture-raised hens offer some nutritional perks. The yolks are a rich yellow-orange color and have high levels of vitamin A (>30% more than caged hens) thanks to the high intake of plant pigments and carotenes from grasses. Vitamin E content is fully double that of commercial hens. The omega-3 content is 2.5x higher. They have fewer inflammatory omega-6 fats (less than half the ratio of omega-6 to omega-3 fatty acids compared to caged hens). And, the vitamin D content is 3-6 times higher due to the regular sun exposure. Chickens make vitamin D from the sun, just like us. But you don’t need to know any of that nutritionism to convince you to eat them. Just take a bite of an egg from a happy, pasture-raised chicken and you’ll know. If you want to taste what I like to call a “real egg”, seek out a local farmer rather than the supermarket. It takes a little extra work, but the flavor and nutritional pay off are worth the effort. Here in Los Angeles, it’s a bit more challenging to find good eggs. Farms are farther away and we’re more disconnected from where our food comes from. Due to not-so stringent agricultural and labeling regulations, “organic” eggs don’t guarantee that chickens spend time on pasture… and neither does “free-range.” Free-range hens are simply “allowed access to the outdoors”, but it does not guarantee that they take it, nor does it define how large of an area the chickens have access to or how much time they spend on it. Sometimes that’s the best you can do, and hens fed organic feed or given access to the outdoors is still a small step in the right direction. Your best bet if you don’t live in a rural area and know your farmers is to visit a local farmer’s market. Ask how the chickens are raised. Ask how much time they spend outdoors in sunlight each day. Ask what they are fed. Most chickens are given grains, which is okay. Chickens are birds and they digest grains just fine. Grains, however, should not be the only thing they eat for reasons I mentioned above. So, your homework assignment for the week is to get curious about the eggs sitting in your fridge. Where did they come from? How were the chickens raised? What were they fed? What do they taste like? What color is the egg yolk? Now, before I go, I’d like to hear from you. 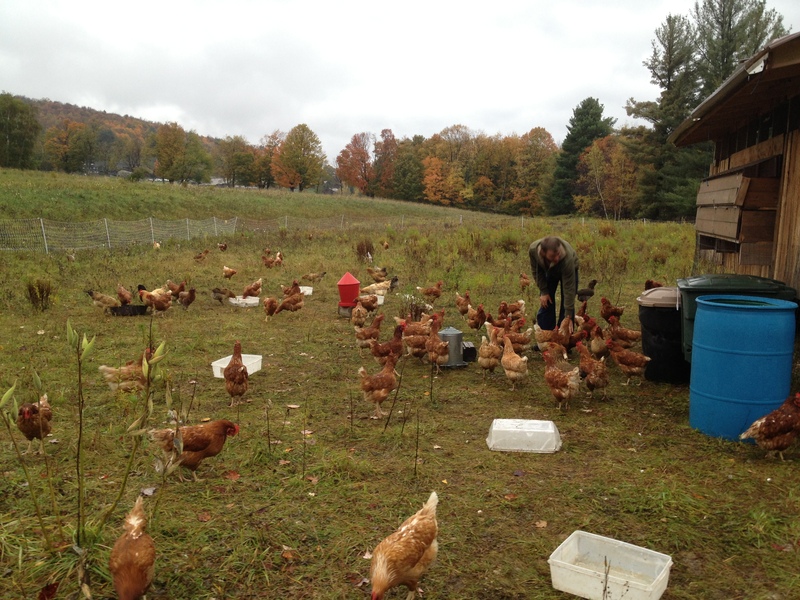 Do you think pasture-raised eggs taste better? 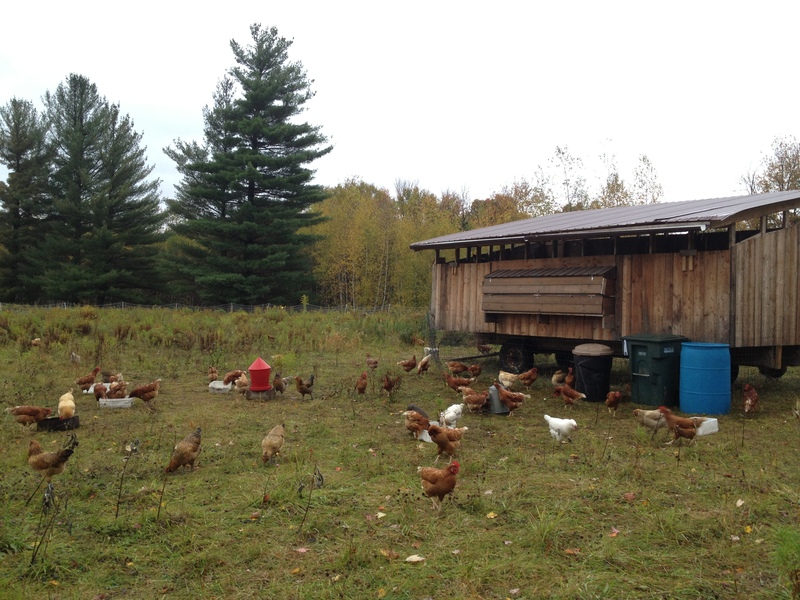 Finally, I leave you with a few pictures of happy chickens on the farm I visited + some pretty fall foliage. 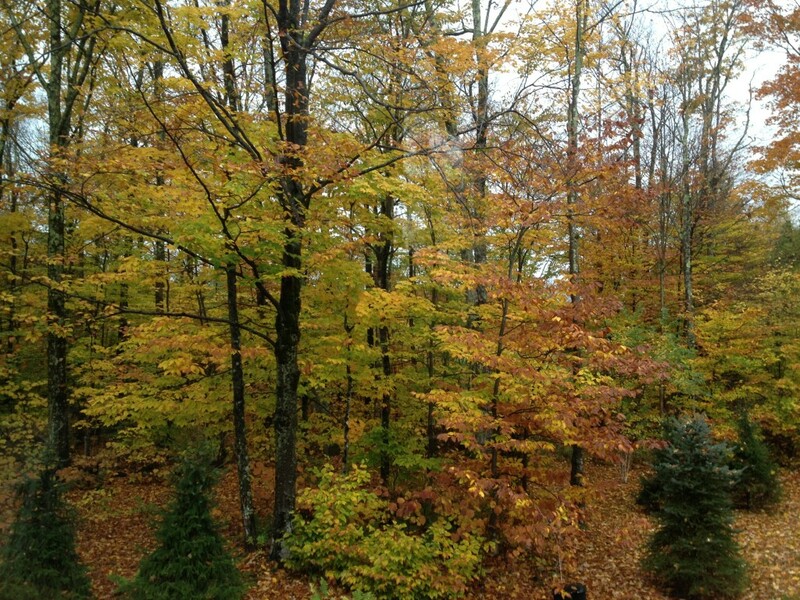 Glad you enjoyed your trip to Vermont – it’s my favorite time of you up here! I’m so glad to be able to walk next door to my neighbor’s house for real eggs and see the chickens. Thanks Lauren! 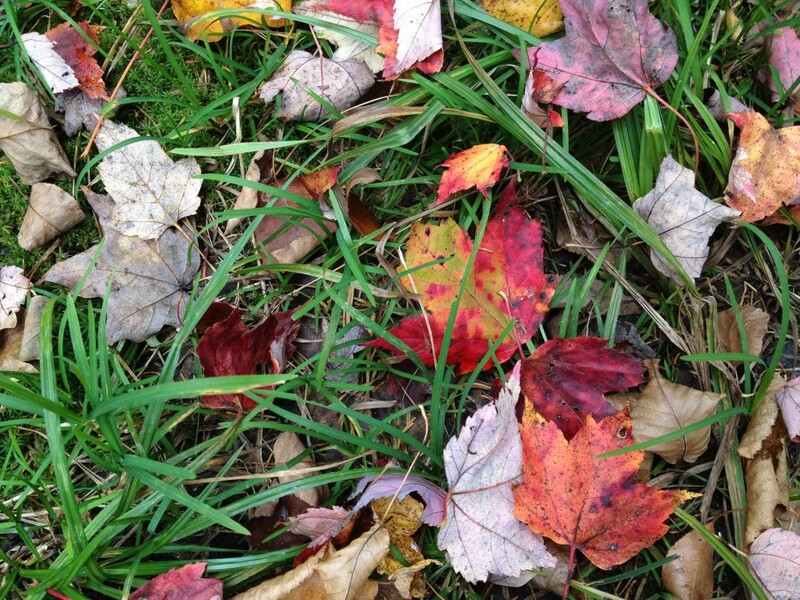 It’s so gorgeous in the fall. You are very lucky to have fresh eggs so close. I’m jealous. Why are you keeping your eggs in the fridge? No wonder they don’t taste good.